Today is the day that Marty McFly traveled into the “future” to in Back to the Future Part II! 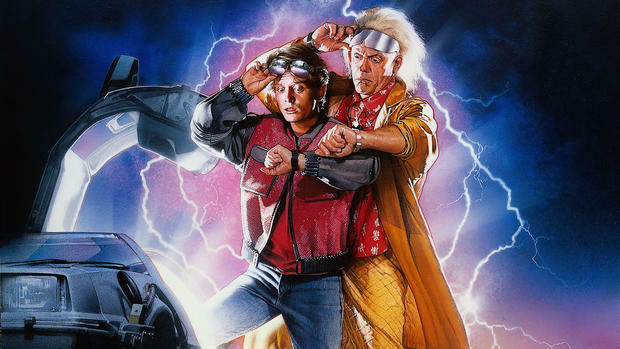 While we still haven’t perfected the time traveling car or hoverboard, a lot has happened in the thirty years since the original Back to the Future film came out. Help us predict the future of learning! What will “school” be like five years from now in 2020? How will emerging technologies change the way students go to school, take classes, interact with their teachers and classmates, and learn about the world? Share your ideas with us and we will share them with the futurists who are thinking about this same topic – your ideas are important to those discussions! What do you think the future of learning will be like in five years? In thirty years? Will we finally have hoverboards – or a Jaws 19 film? Let us know in the comments section below or tweet your predictions to us at @ProjectTomorrow and/or @SpeakUpEd. We also encourage you to follow the White House’s Back to the Future Day virtual celebration, where they will be discussing the current state of time travel, the human brain, and more! Click here to join the fun. This entry was posted in Speak Up and tagged Back to the Future Day, Speak Up, Speak Up 2015, the White House on October 21, 2015 by Lisa Chu. 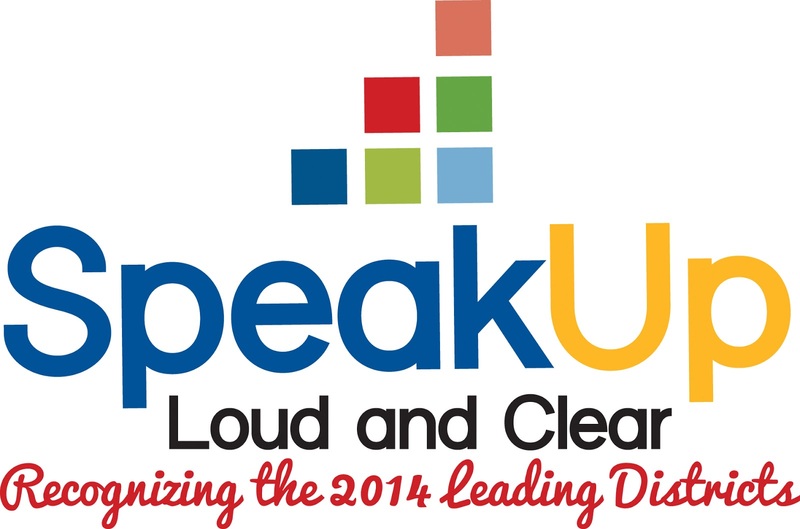 Announcing our Speak Up Loud and Clear schools! With Speak Up 2015 just around the corner, we would like to thank our past Speak Up participants! We greatly appreciate all the support and encouragement that went in to making Speak Up 2014 such a success – without you, Speak Up would not be possible. Last year over 521,000 Students, Parents, Educators and members of the community representing over 8,000 schools nationwide participated in Speak Up 2014. To honor our top participating schools and districts, Project Tomorrow has nominated the top Speak Up schools for our Speak Up Loud and Clear recognition program. Speak Up Loud and Clear, formerly known as Speak Up 200, highlights schools that are effectively incorporating Speak Up data into their local decision-making. Each year, finalists are selected based on total student participation, length of time involved with Speak Up, and use of data in local decision making. 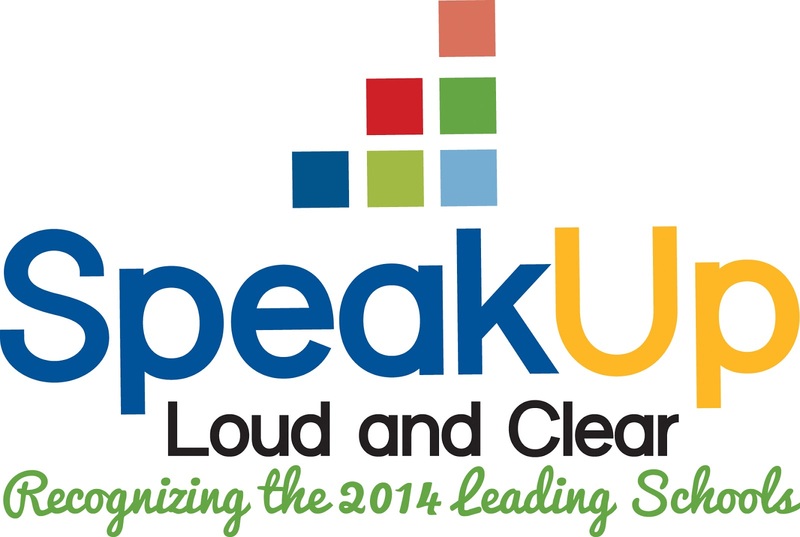 We are proud to recognize 244 Speak Up Loud and Clear schools for their strong participation during Speak Up 2014! The complete list of Speak Up Loud and Clear schools are highlighted on our website – click here to view the full list. Congratulations to our Speak Up Loud and Clear schools and districts! Don’t forget – Speak Up 2015 starts in a few days! Spread the word about the survey to your school(s) to encourage strong participation and a chance at being recognized as a Speak Up Loud and Clear school for Speak Up 2015! And for our current Speak Up Loud and Clear schools, this is the perfect opportunity to secure your spot as a top school for another year. This entry was posted in Speak Up and tagged Speak Up, Speak Up Loud and Clear on September 28, 2015 by Lisa Chu.